Just flaunting my Brazil jersey, haha. Brace yourself, guys and girls. FIFA WORLD CUP 2014 is here! I don't know if you know that I'm quite a football fan, I watch EPL/BPL since fifteen. The first FIFA World Cup for me was when Luiz Ronaldo had that "coconut" haircut, lol. Whose side will I take? England? Spain? Germany? Netherlands? Portugal? Argentina? Brazil, of course, no hesitation. I've supported Brazil ever since that "coconut" haircut, I was really young, haha. Ronaldo, Ronaldinho, Kaka were my favourites in the squad. Too bad that they are not in the squad anymore, so sad, very sad! Rivaldo, Cesar, Fernandinho, Ramires, Neymar, I can go on and on about the legends. This year, Brazil is playing at their home ground, *grins*. I always feel bad for my dad not having a son, he's a huge football fan. So, I always watch football with him. Come on, football is not a boyish thing anymore, everyone watches football! My dad is both team Spain and team Germany, he picked his sides too. We actually just got Astro back on in our home after moving. We couldn't wait any longer, we got the Family HD Pack and Sports Bundle. We're really excited about FIFA World Cup this year! I've taken my side, whose side will you take? I challenge you to pick a team! Get your face painted and set it as your Facebook profile picture and cover photo. OR you don't have proper face paint to do it? FRET NOT! 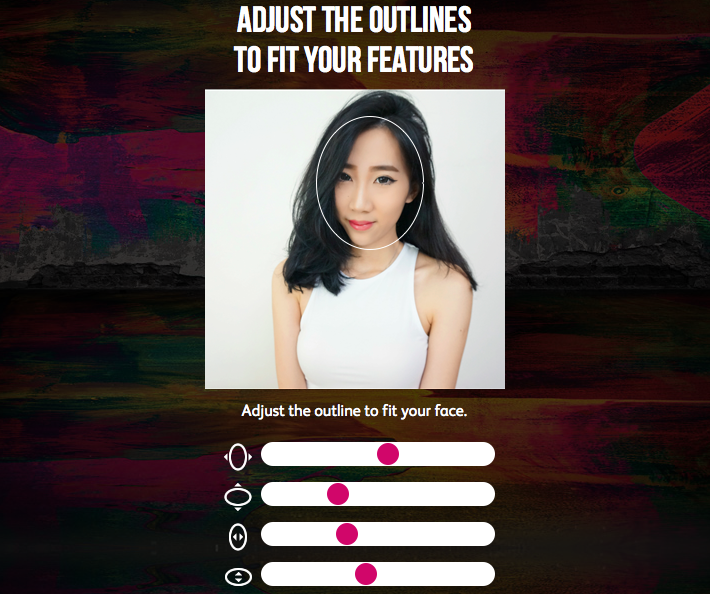 Try out the online face painting and set the picture as Facebook profile picture and cover photo. 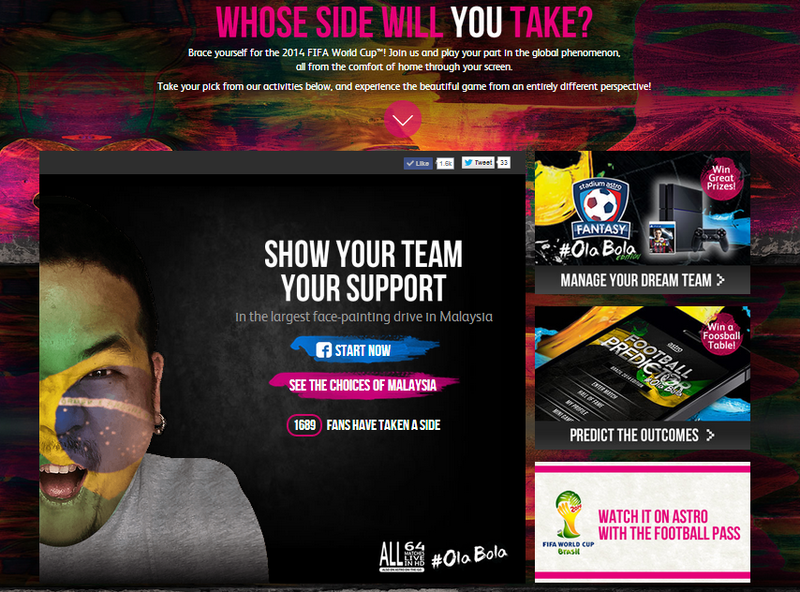 Show your team your support in the largest face-painting drive in Malaysia! Adjust the outlines to fit your features. New face-painted profile picture and new cover photo! Win amazing prizes with the Fantasy Football Olabola edition. Attractive cash prizes, PS4 and FOFA 14 game! Bring Home a Foosball Table in the Olabola Football Predictor App! Thank you, Astro for the football fever. Astro is showing all 64 matches LIVE in HD!